A natural disaster is one caused by natural forces, like a flood, tornado or hurricane, which leads to environmental, human and economic losses. No one likes a natural disaster in real life but disaster movies are a form of entertainment that will keep you on the edge of your seat. 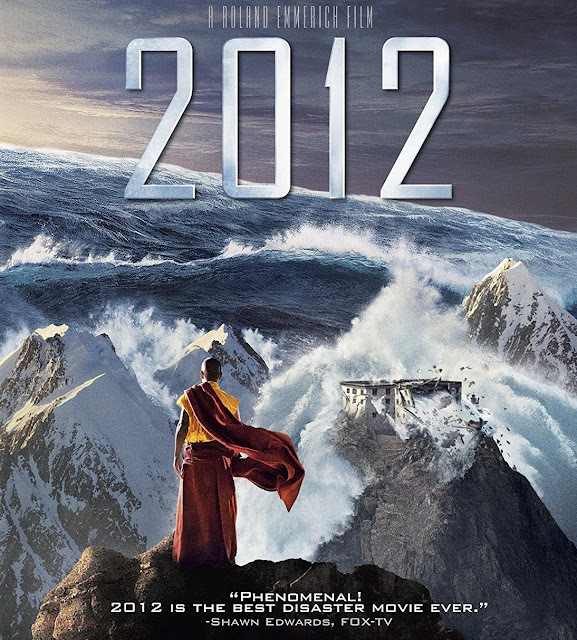 Movies like 2012, The Day After Tomorrow and The Perfect Storm depict disasters that could happen. On this page, you will find the top ten natural disaster movies as ranked by the percentage of five-star Amazon customer reviews as found when I originally wrote this page for another website. That was a few years ago so there may be a couple of newer disaster movies that did not make this list. 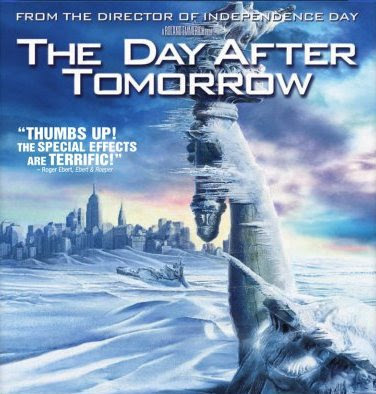 Click here to rent, stream or purchase The Day After Tomorrow from Amazon. Click here to rent, stream or purchase 2012 from Amazon. 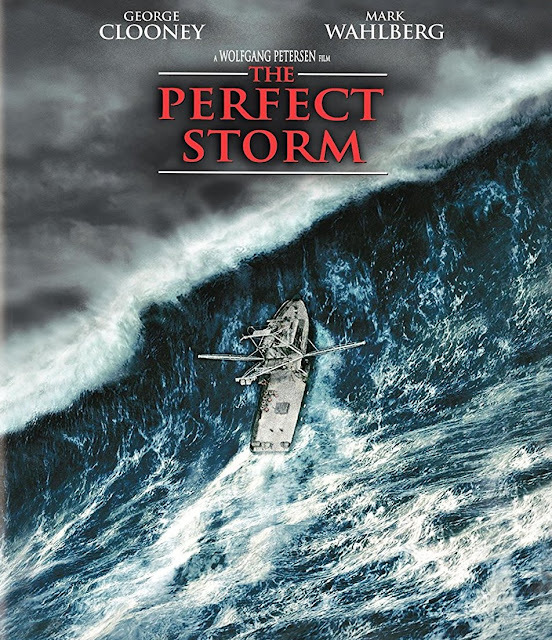 Click here to rent, stream or buy your copy of The Perfect Storm from Amazon. 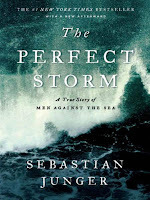 The Perfect Storm starts slowly but builds to a tragic ending, sharing the story of the fishing industry as well as the science of storm prediction. Learn about the people onboard the Andrea Gail who find themselves in the middle of the storm. This book shares interviews with those involved including survivors, families and rescue crews. As always, it is recommended that you read the book by Sebastian Junger before you watch the movie. 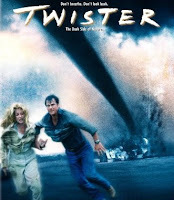 Twister is an older natural disaster movie worth watching. This thriller is packed with excitement and special effects. It tells the story of scientists following an extremely destructive weather system in Tornado Alley. Those scientists hope to learn more about tornadoes in order to develop a better early warning system. Twister stars Helen Hunt, Bill Paxton and Cary Elwes. Here's your peek via the official movie trailer. Order your copy of Twister from Amazon by clicking here. 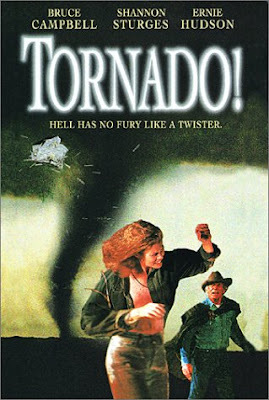 Tornado movie is a made-for-television movie, which receives good marks. A storm chaser in Texas tries to guess when the twisters will strike. His meteorology professor has an invention which should prove helpful except they have to put it in the path of an oncoming twister. Definitely a race against mother nature. Amazon customer Merlin Marshall considers this movie better than Twister. He says that the way they show the weather service, weather map, and the tornado is better and considers this film to be more accurate than others. What do you think? If you have seen them both, be sure to let us know! You can read all of the Amazon customer reviews by clicking on the picture of the movie. Find Tornado to stream or buy on DVD Amazon here. Dante's Peak is beautifully set, which hides the fact that the town is located at the base of a dormant volcano. Of course, given that this is a natural disaster movie you can guess that the volcano is no longer dormant. Officials try to hush up the fact that there could be an eruption but soon it is impossible to hide the exploding volcano and it becomes a fight to leave town and survive. 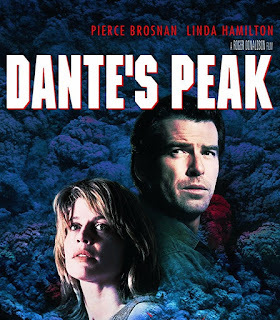 Dante's Peak stars Pierce Brosnan and Linda Hamilton. Stream, rent or buy your copy of Dante's Peak form Amazon here. An earthquake hits Los Angeles and causes a volcano to push to the surface...and the people of Los Angeles discover the one volcano that they do not know about. Amazon calls this movie 'pulse-thrilling' and says that the action starts right away... Volcano stars Tommy Lee Jones, Anne Heche, Gaby Hoffmann and Don Cheadle. Stream or buy your copy of Volcano from Amazon here. 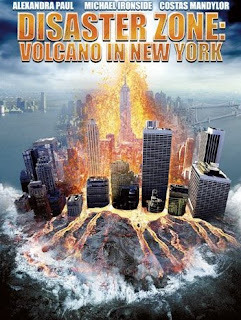 Disaster Zone: Volcano in New York features an unsuspected volcano under the city of New York, which is putting the entire city at risk. In just a short time, the city could be destroyed. Stars Costas Mandylor, Alexandra Paul, Michael Ironside, Michael Boisvert and Eric Breker. Disaster Zone is available only on DVD. 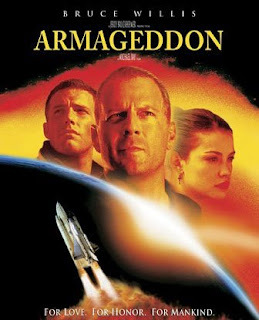 Armageddon is definitely an action-adventure movie, this one about a meteor storm. NASA's director realizes that there are just 18 days before the earth will be hit and destroyed by a meteor that is the same size as Texas. It brings in a team of rough oil drillers to drop a nuclear warhead into the core of the meteorite. Amazon rightly calls this film a thrill ride. Starring an all-star cast, which includes Bruce Willis, Billy Bob Thornton, Ben Affleck, Liv Tyler and Will Patton. Stream or buy your copy of Armageddon from Amazon by clicking here. Earthquake is an older movie about ordinary people who must face a natural disaster together. Located in Southern California, they struggle to survive a huge earthquake and its subsequent shock waves. Featuring a noteworthy cast, including Charlton Heston, Ava Gardner, George Kennedy, Lorne Greene and GeneviÃ¨ve Bujold, this movie won Academy Awards for sound and special effects. I must say that, of the movies I have NOT seen on this page, this one perhaps intrigues me the most partly because of the cast and partly because of the Academy Awards. 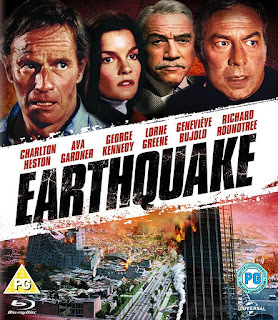 Earthquake is available on blu-ray disc, DVD and instant video from Amazon. Have you seen any of these natural disaster movies? Would you recommend any of them or do you have one you would like to add to this list? What is your favorite natural disaster movie? A fascinating list of Titanic feature presentations and documentary films. A selection of boxed sets available on blu-ray. Fans of the movies will enjoy learning more about movie props and memorabilia.